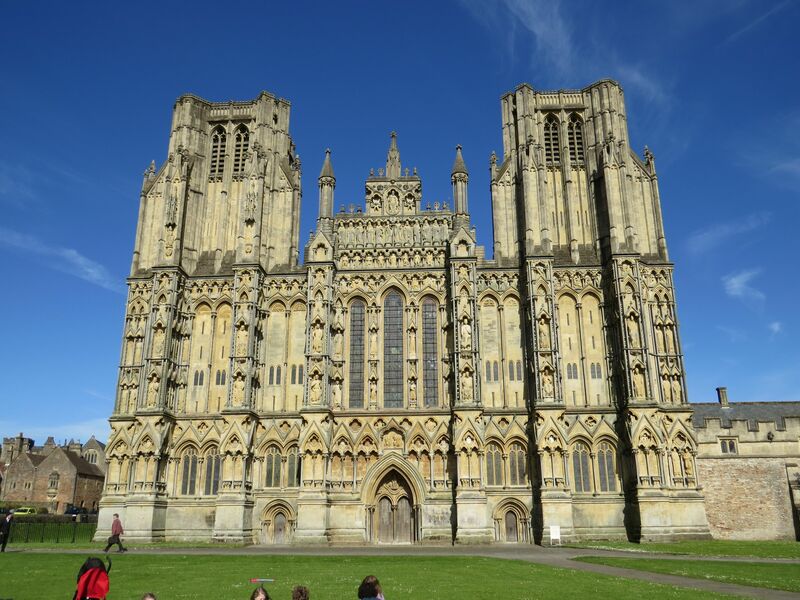 Our last stop of the trip was in Wells. Mostly a place to stay overnight on the journey between Glastonbury and Heathrow, the lovely little town of Wells delivered with an amazing Cathedral, a very old hotel and a weirdly out-of-place cotton-candy type fair with rides. It was quite the juxtaposition between the old and new. Our 15th century coaching inn was so old that the uneven floor resulted in a gap under my hotel room door which ranged from 2 centimetres at one end to at least 6 centimetres at the other end! Outside the window, the blasting pop music from the fair was quite up-to-date and I enjoyed dancing around a bit (very gently) as I repacked for the trip home the next day. 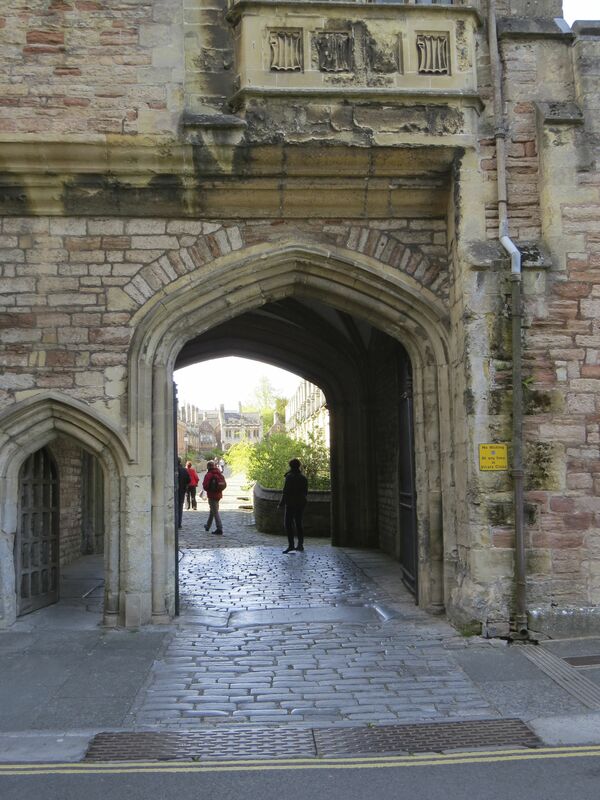 Wells was a Roman settlement and became an important centre when the minster church was founded in 704 BCE. 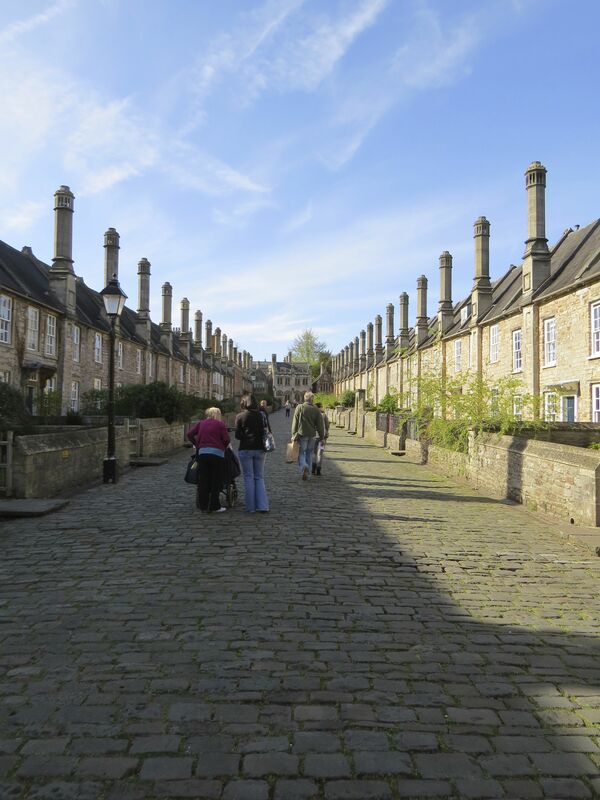 It has had city status since 1205 and is often referred to as the England’s smallest city. 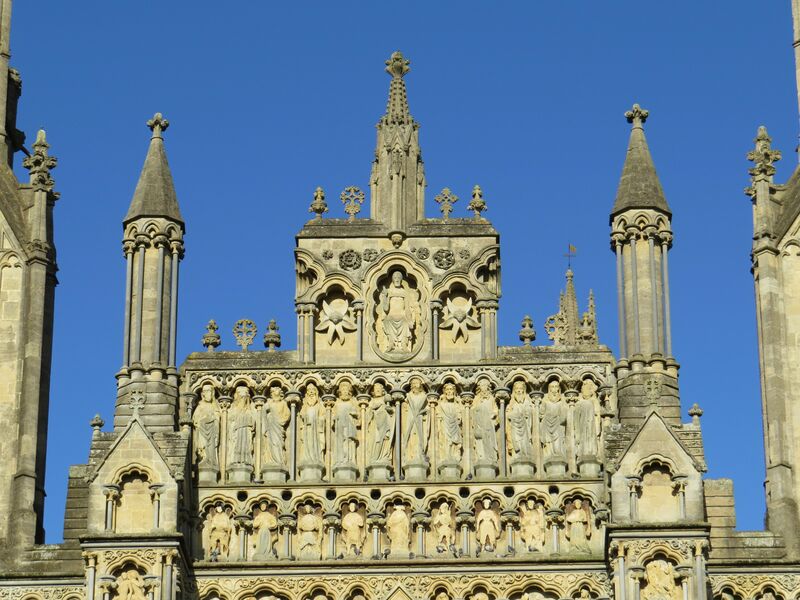 The current Cathedral dates back to the 10th century and the west front is said to be the finest collection of statuary in Europe, retaining almost 300 of its original medieval statues. 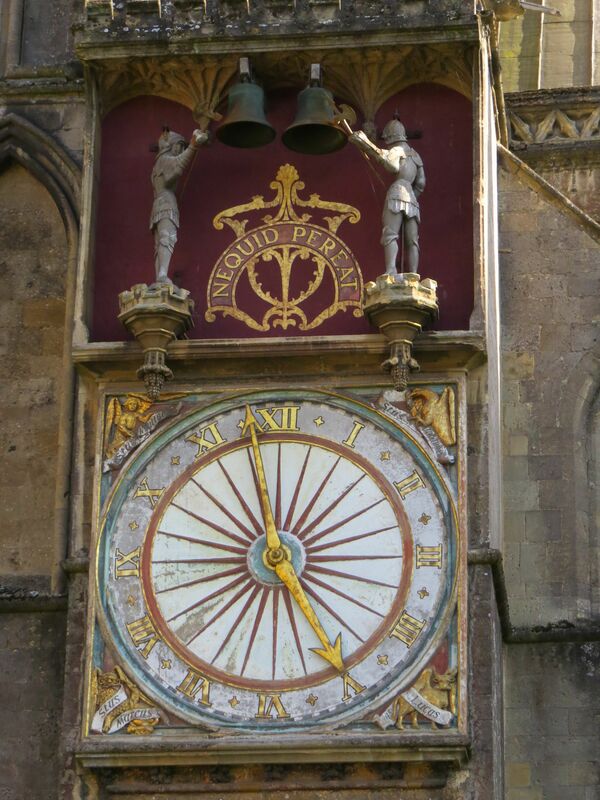 Wells Cathedral clock is famous for its 24-hour astronomical dial and set of jousting knights that perform every quarter hour. 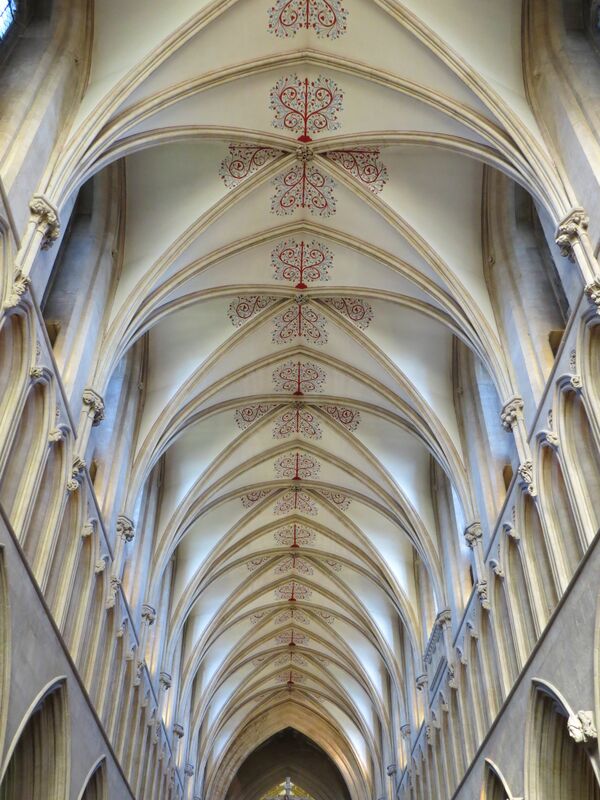 The Cathedral had a lovely ceiling which looked freshly painted. We arrived in time for Evensong, and enjoyed sitting in the choir area listening to the Men and Boys Choir sing the evening liturgy. 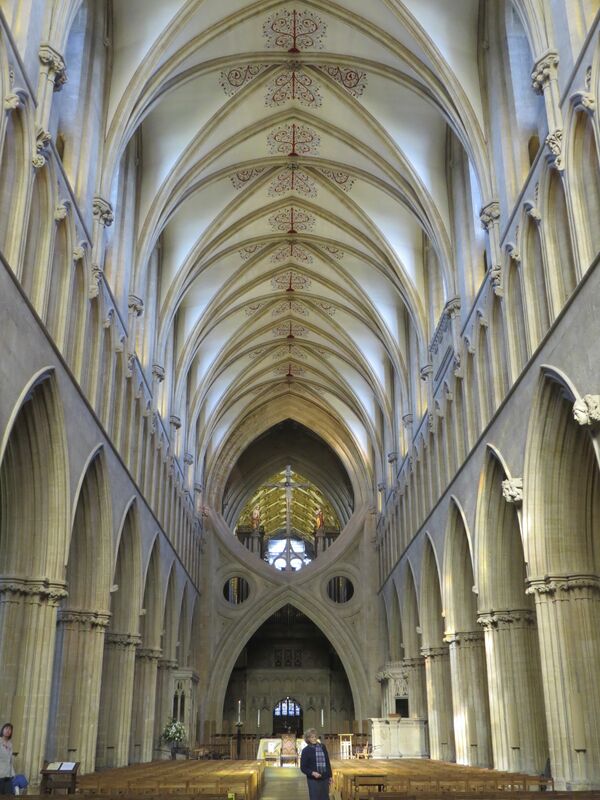 Wells Cathedral School was founded in 909 BCE and has a musical emphasis. Outside the Cathedral is a street called Vicars’ Close, the oldest residential street in Europe, dating back to the mid 14th century. The Close is tapered by 10 feet (3.0 m) to make it look longer when viewed from the bottom. When viewed from the top, however, it looks shorter. I was just happy we viewed it on a sunny day! 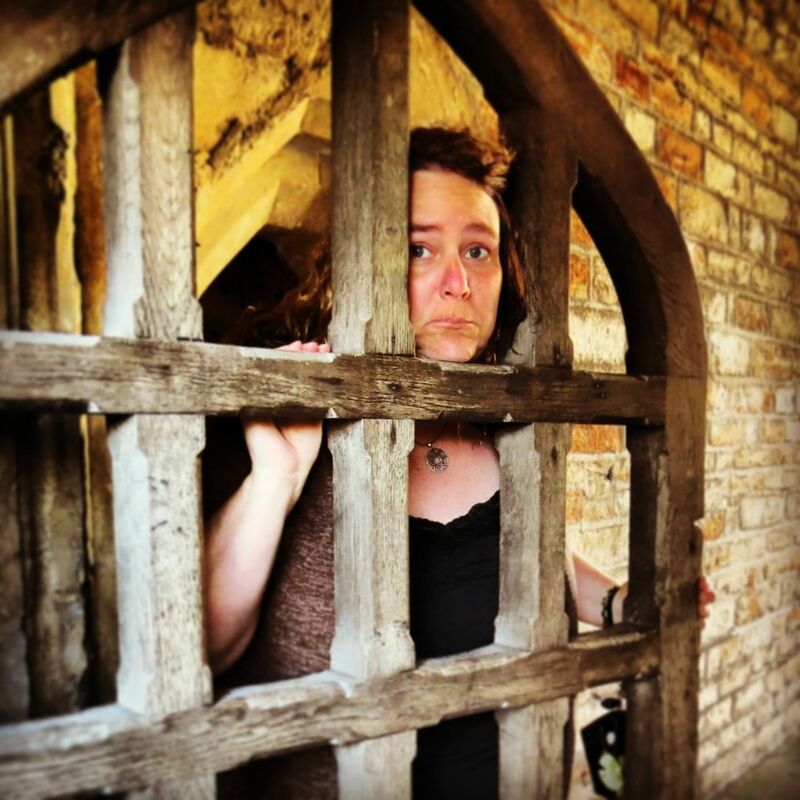 It would have been great to be trapped there, forced to take singing lessons. 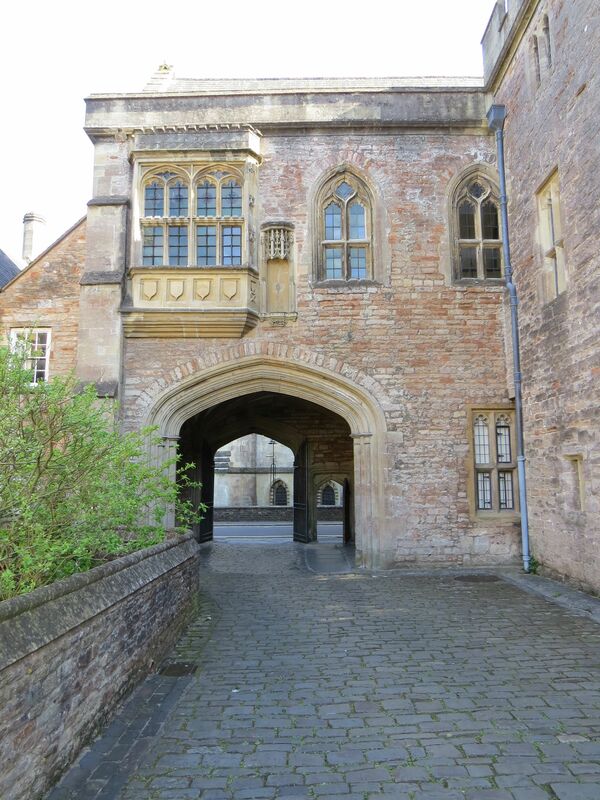 This entry was posted in travel and tagged Vicar's Close, Wells by WendyA. Bookmark the permalink.